Absolutely stunning, the photo can not do this wedding favour justice! 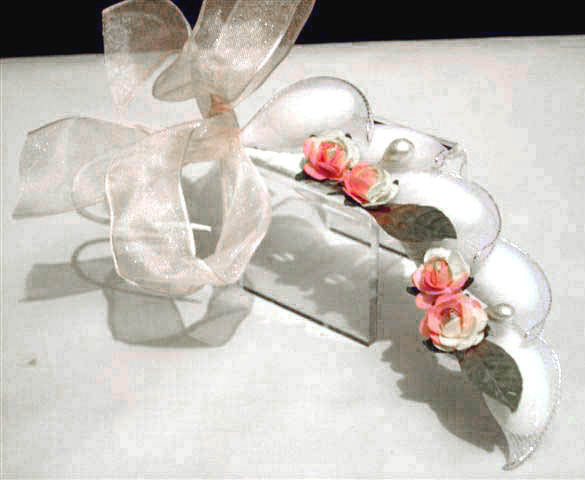 The rachetti are edged with silver and it has two sprays of roses, pearls and leaves. Tied with an organza wire edged ribbon, other colours are available, please ask.